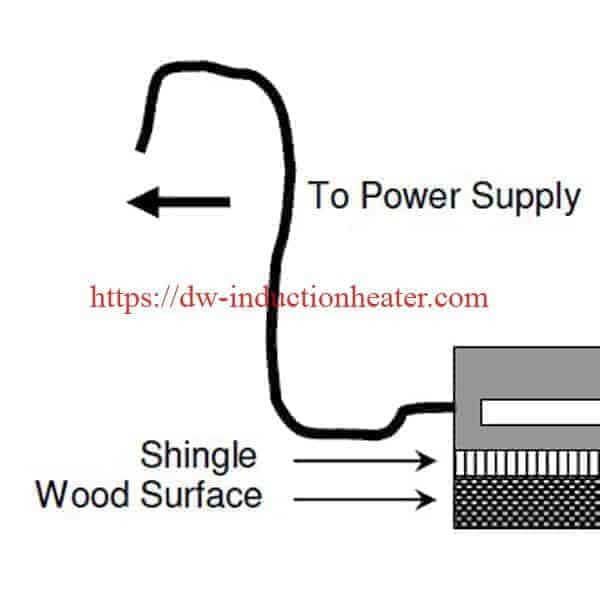 Objective To heat the stainless steel substrate of a solar panel shingle in order to melt the polymer encapsulant, allowing two shingles to bond together with a 3 inch overlap. coil: 4 turns of 1/4″ x 1/2″ rectangular copper tubing, measuring 24″ by 2 1/4″. water-cooled coil against the shingle to facilitate the bonding (illustration). Tests are performed at several time-voltage settings. Results Tests resulted in excellent bond formation with the absence of encapsulant bubbling and only slight surface texture change.